Seven has unplugged The White Room from 7:30pm Thursday night effective immediately. The panel show hosted by Tony Moclair and Julian Schiller had aired for two weeks rating 812,000 and 678,000. It will be replaced by new episodes of Ghost Whisperer. Meanwhile Seven is removing repeats of Ghost Whisperer from late on Tuesday nights to be replaced by documentaries. Next week The Diet That Time Forgot screens at 10:30pm while Super Skinny Me follows on March 9th. 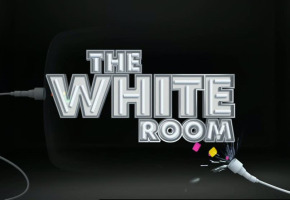 The outcome for The White Room remains unclear, whether moved to a new timeslot or out of schedule entirely. Reception to the new TV trivia show, widely seen as Seven’s latest attempt to develop its own Spicks and Specks-style show, was not positive. Seven will also remove ICU after this Wednesday to be replaced by Crash Investigation Unit, but is performing much better with its other new show My Kitchen Rules. I love Ghost whisperer and I’m so glad that it is back on! Cougar Town is a feel good show! I like it because it highlights the fact that you are never too old to do what you want to do! So many women seem to give up once they have hit 40….. Sadly for the white room, it is no match for channel 10’s clever and humerous”talking about my generation” . I watched the White room and though it was very very funny, think 7 could have left it on a bit longer. And it seems 7 won’t show the one more episode in the can-what a shame. @David, yeah why don’t they make another series of The Mole!? that was a great show! well before all the “changes” in the later series.. oh and the host. I haven’t watch much FTA this season so far and the White Room missed the cut. Of course Home And Away is a decent lead in averaging 1-1.1m early in the week and 0.9m thur & fri ain’t bad at all considering there are 11 free to air channels now. People who will bring up that Two And A Half Men beats H&A half the time, I reckon are the ones that complain most about the tv networks not producing enough Aussie drama, when H&A is quality drama no matter what people say about it and Home And Away is the Seven Networks most successful program it’s ever produced. White room guests were D grade. Bring back Amazing Race and TV Burp! Home and Away is a decent lead in for the White Room plenty of other shows have done well after Home And Away people obviously were not interested because the few that did watch the first week didn’t return. I’m glad they didn’t wait as long as ten did with it’s spearman experiment/ clone!